This depth integrating wading type sediment sampler is intended for trace metal, biological or sediment sampling during normal flow in small to medium-sized streams or through ice. 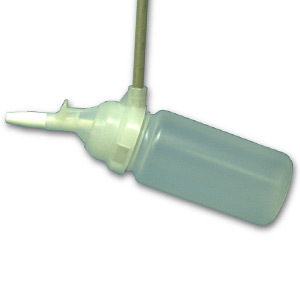 The US DH-81 Sampler is available in both non-metallic and teflon/FEP varieties. It consists of an adaptor, cap with an internally moulded vent tube and 1/4" nozzle, all of which are autoclavable. It also contains a 1 litre plastic or Teflon® bottle and 3-foot wading rod constructed of stainless steel.